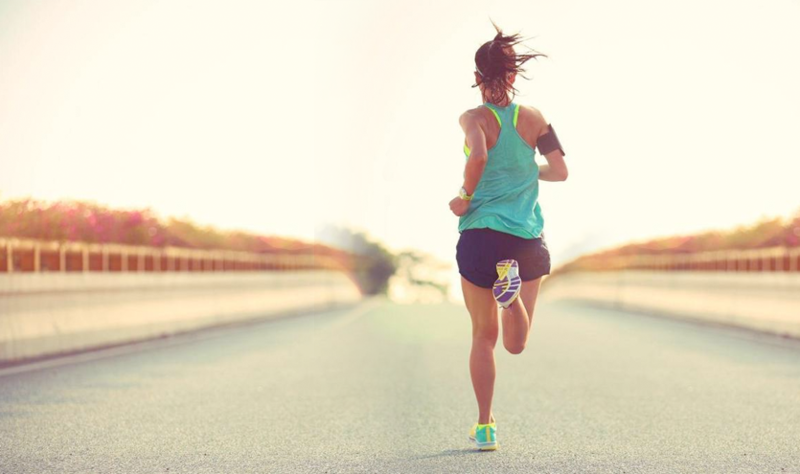 This program is designed for Novice runners, mostly first-timers, training for an 8K race. If you are an experienced runner, you might want to examine the Intermediate or Advanced 8K programs. When you sign up, you will begin receive daily email messages telling you what to run, training tips, and access to TrainingPeaks interactive features to track your progress. 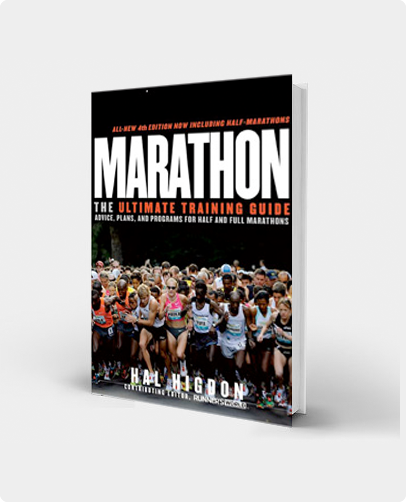 HOW MUCH DO YOU NEED TO TRAIN to be able to run your first 8K? Some individuals who possess a reasonably good level of fitness (because they bicycle or swim or participate in other sports) could probably go out and run 5-6 miles on very little training. They might be sore the week after a race at one of those distances, but they still could finish. To participate in my 8K program, you should have no major health problems, should be in reasonably good shape, and should have done at least some jogging or walking. If running 2 miles for your first workout on Tuesday of the first week seems too difficult, you might want to begin by walking, rather than running. Or, if you have more than eight weeks before your 8K, switch to my 5K schedule to build an endurance base before starting. Interactive versions of all my training programs are available through TrainingPeaks. Stretch & Strength: Mondays are the days in which I advise you to do some stretching along with strength training. This is actually a day of rest following your long run on Sundays. Do some easy stretching of your running muscles. This is good advice for any day, particularly after you finish your run, but spend a bit more time stretching on Mondays. Strength training could consist of push-ups, pull-ups, use of free weights or working out with various machines at a health club. Runners generally benefit if they combine light weights with a high number of repetitions, rather than pumping very heavy iron. I also suggest that you do some strength training following your Thursday workouts, however you can schedule strength training on any two days convenient for your business and personal schedule. Finally, I generally prefer to strength train in the gym after, rather than before, a running workout. Consider the run a good warm-up for the gym. Running workouts: Put one foot in front of the other and run. It sounds pretty simple, and it is. Don’t worry about how fast you run; just cover the distance–or approximately the distance suggested. Ideally, you should be able to run at a pace that allows you to converse comfortably while you do so. This isn’t always easy for beginners, so don’t push too hard or too fast. Under this workout plan, you run three days of the week: Tuesdays, Thursdays and Sundays, Sundays being a longer run. Cross-Training: On the schedule, this is identified simply as “cross.” What form of cross-training works best for runners preparing for a 8K race? It could be swimming, or cycling, walking, cross-country skiing, snowshoeing, or other forms of aerobic training, or even some combination that could include strength training if you choose to do it on Wednesdays and Saturdays instead of as indicated on the schedule. And feel free to throw in some jogging as well if you’re feeling good. What cross-training you select depends on your personal preference. But don’t make the mistake of cross-training too vigorously. Cross-training days should be considered easy days that allow you to recover from the running you do the rest of the week. Rest: The most important day in any running program is rest. Rest days are as vital as training days. They give your muscles time to recover so you can run again. Actually, your muscles will build in strength as you rest. Without recovery days, you will not improve. In this program, Friday is always scheduled as a day of rest to compliment the easy workouts on Mondays. Long Runs: The longest runs of the 8-week schedule are planned for Sundays, since you probably have more time to do them on the weekends. If Sunday isn’t a convenient day for your long runs, feel free to do them on Saturday–or any other day of the week for that matter. What pace should you run? Go slow. 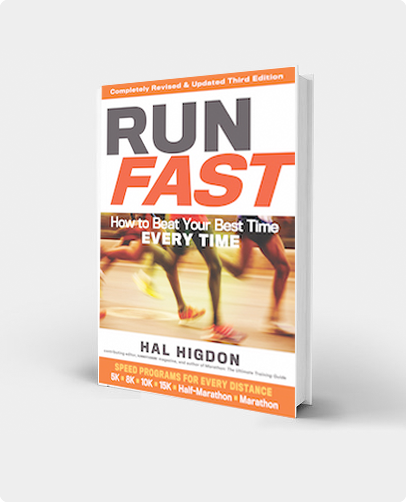 There is no advantage to going fast during your long runs, even for experienced runners. Walking: Walking is an excellent exercise that a lot of runners overlook in their training. In the training schedule below, I don’t specify walking workouts, but feel free to walk during your running workouts any time you feel tired or need a break. In races these days, nobody cares whether you run the full 8K; they’re more concerned that you finish. If this means walking every step in practice and in the race, do it! The following schedule is only a guide. If necessary, you can make minor modifications to suit your work and family schedule. Or sign up for the interactive version of this Novice 8K Training Program, where I send you daily email messages telling you what to run, along with other tips about your training.